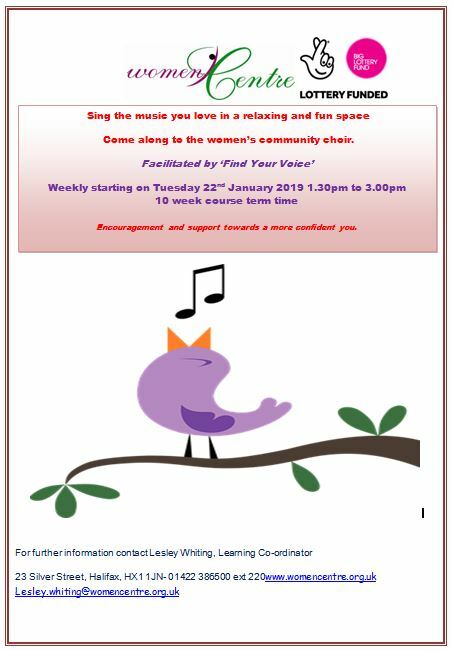 WomenCentre Halifax is holding a Find Your Voice workshop on Tuesdays, 1:30pm-3:00pm (term time only) starting Tuesday 22 January 2019. This is a 10 week course to give encouragement and support towards a more confident you. This entry was posted in Events, Feb, Jan and tagged WomenCentre. Lower Valley Friday Flyer 11 January 2019 – OUT NOW! !